It seems like I have not had any time to post lately. My knitting is progressing slowly, spinning also. We took Ethan to Michigan last weekend to visit my mother and my brother’s family. He leaves today for Tokyo to work for 6 months (with a week layover in SF to ski and tour with his sister and Aunt), so we have been doing lots of preparation all week. I will miss him, but it is a fabulous opportunity. Also, the internet makes communication so much easier. I will be trying Skype for the first time. I remember when I spent my Junior year of college abroad. Not many people went at that time, and it was 1- 1/2 weeks for a letter to get to or from home. At times it felt very lonely, but I grew tremendously during that time. The internet has changed everything, knitting included. This is fiber that I received from the Dizzy Sheep spinning weekend sale a couple of weeks ago. I am trying to sample different things. 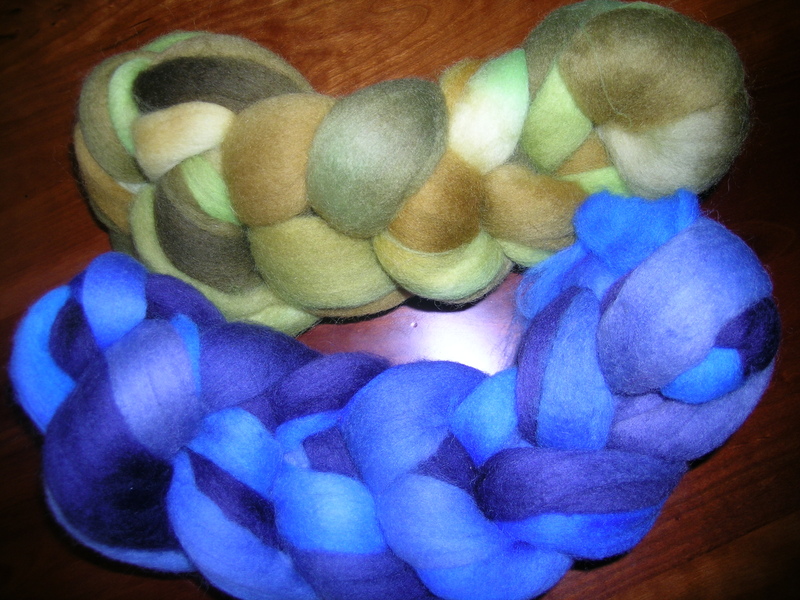 The first two are 4 oz hand painted Merino tops from Spinner’s Hill. Colors are Blue Glass and Olives. I think you can figure out which each is. I think that they might be very beautiful plyed together. 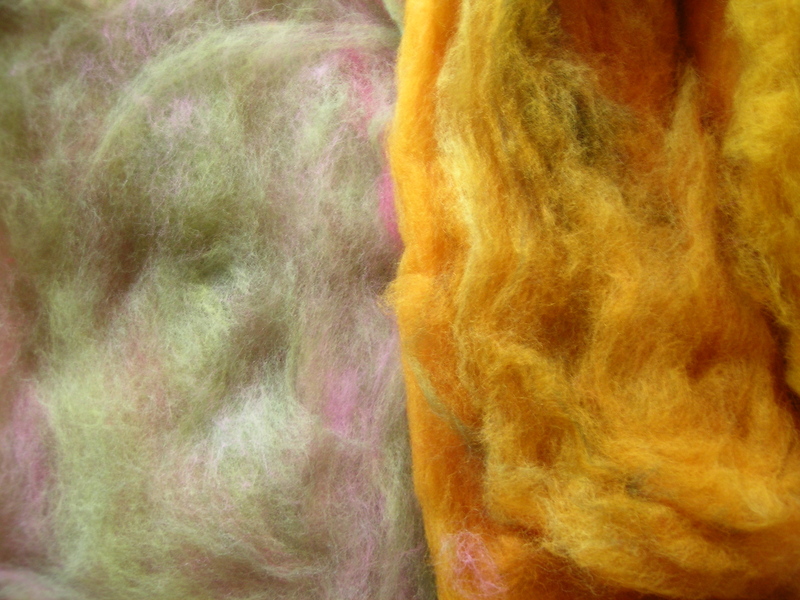 The next is also from Spinners Hill, and they are 4 oz merino batts, hand painted also. Colors are Butternut Squash and Highland Meadows. I have not spun yet from a batt, so this will be very interesting. And finally this, a sampler pack entitled Mostly Edible fibers which I am very excited about. This I am definitely saving for a bit until my spinning is better so that I can be more discerning about the different fibers. 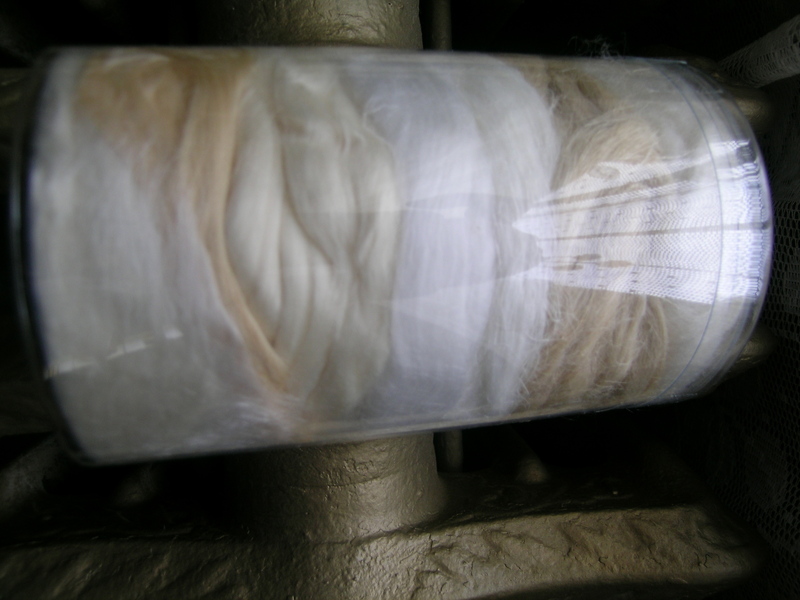 It contains 1/2 oz of each of the following fibers: Bamboo top, Hemp fiber, Bleached Flax Sliver, Corn Fiber, Latte Top – Milk Fiber, SoySilk top, and Tussah Silk Sliver. 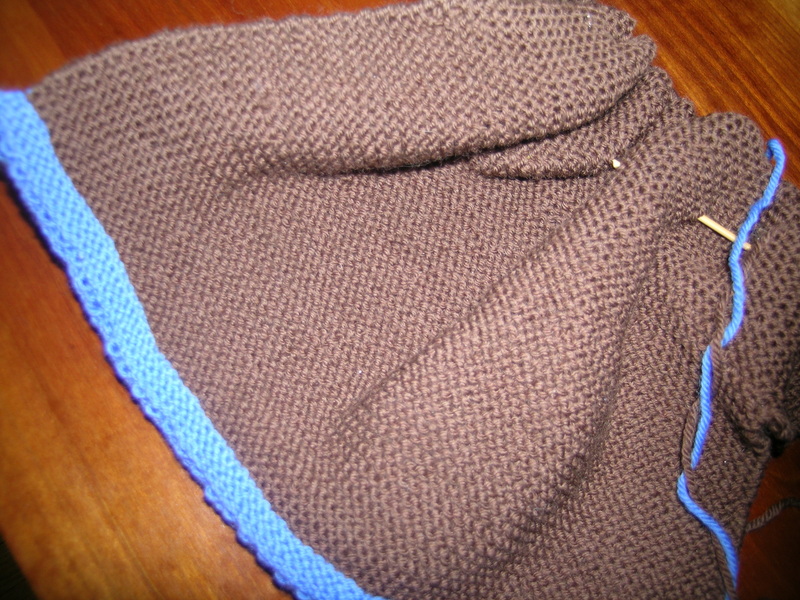 And on the knitting front, I need to make a sweater for a newborn baby boy. I really liked this pattern from Dale of Norway for a kimono style sweater with accent color in a picot edging. I made one for my niece last year, and I was able to see her wearing it. It seems to be a great design for a baby. I love the chocolate-brown for the body. The bottom will be the blue that you see here, and the front banding and sleeve edges I am thinking of yellow and green, but that is not set yet. It might just end up with all blue accents. I love those spinning fibers – what beautiful yarn you will be making! Lucky you, catching them on sale.